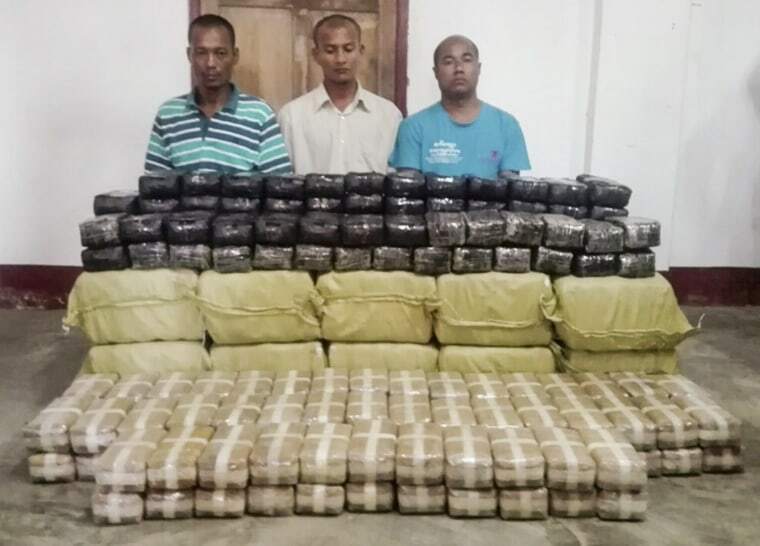 YANGON, Myanmar — A Buddhist monk has been arrested in Myanmar after authorities found more than 4 million methamphetamine pills in his car and in his monastery, police said Tuesday. The monk was stopped Sunday as he drove in northern Rakhine state, which borders Bangladesh. Authorities had been tipped off that the monk was carrying an illegal haul, said Officer Maung Maung Yin. Maung Maung Yin said an anti-drug task force found 400,000 pills in the monk's car. A subsequent search of his monastery turned up 4.2 million pills — worth upwards of $4 million in street value — along with a grenade and ammunition. A statement from the office of Myanmar's leader, State Counselor Aung San Suu Kyi, said that one million kyats ($769) in cash was also found in the vehicle. Myanmar is a major producer of methamphetamine, usually smuggled from the northeast to neighboring countries. It is also the world's second biggest producer of opium, from which heroin is derived. "This is not a normal case, and when we were informed that the monk was arrested, we were all shocked," said Kyaw Mya Win, a township police officer. Asked about the case, the director general of the Religious Affairs Ministry, Soe Min Tun, acknowledged some surprise. "It is not a very common case, but not impossible to happen. What will happen to the monk is that he will have to give up his monkhood right away and face trial as an ordinary person," he said. Police said they were still questioning the monk Tuesday. Last year, Myanmar officials seized 21 million methamphetamine pills with a street value around $35.5 million near the border with China in the biggest such seizure in recent memory.